I am a strong believer that blog posts are great entry points into complex topics. 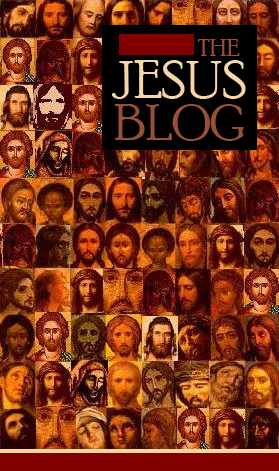 To this end, the Jesus Blog will be conducting a series of short interviews on complex topics in biblical studies. We hope that these interviews boil these topics down to basics. The first installment, I am proud to say, is my interview with presidential candidate and reality television star, Donald Trump. TJB: Mr. Trump, thank you for taking the time to discuss a few matters related to biblical studies. I hear that you recently awarded yourself a honorary doctorate from Trump University. Congratulations! TRUMP: Thank you. Yes, we’re looking into a few things. Some really amazing things. Giving myself a doctorate was one of the things. Trump University—I probably shouldn’t say this—but Trump University is doing amazing things. People really love it. TJB: You’ve discussed the Bible quite often lately. You’ve spoken of your favorite Bible verse and how much you love the Bible. 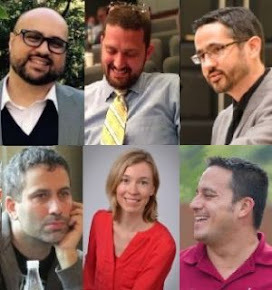 But are you sure you want to discuss the Synoptic Problem? It’s really not a topic you generally address as a presidential candidate. 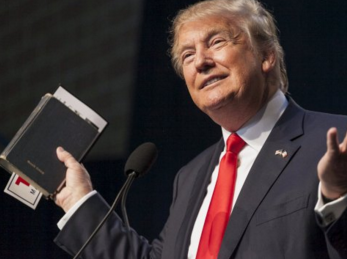 TRUMP: Nobody loves the Bible more than me. Nobody. I mean, the Bible is huge. Huge. People are under attack in this country. It’s really bad out there. But I love the Bible and we’re going to deal with this problem. Believe me. TJB: What problem? The Synoptic Problem? TRUMP: Look. It’s a problem. But we’re looking into it. It’s just one more thing. Look, China is a problem. You have no idea. We’ve got to start winning. But the Synoptic Problem too. Because that is also a problem that we’re going to solve. We’re working on some amazing ideas. TJB: Okay, well, great. Let’s get into some of your ideas about the Synoptic Problem. Christian tradition has assumed that Matthew was the first composed. Why, then, do most biblical scholars think that Mark was composed prior to Matthew? TRUMP: Believe me, Matthew is the best. Really classy. But Mark. Mark is great too. Matthew really got schlonged by the people who, frankly, are overrated. Mark is the best, though. Matthew and Mark are both great. These haters and losers have no idea. No clue. This is something that I might need to change. TJB: In your estimation, is Mark a shortened version of a longer gospel? Or has Matthew enhanced and expanded a shorter narrative? TRUMP: I’ve always been for enhancing. I’ve never been comfortable with settling. We’ve got to come to the table with strength. Mexico is killing us. Enhancing Mark was a super-luxury way to build some amazing things. That, I promise you. Matthew is a super-luxury part of the Bible. 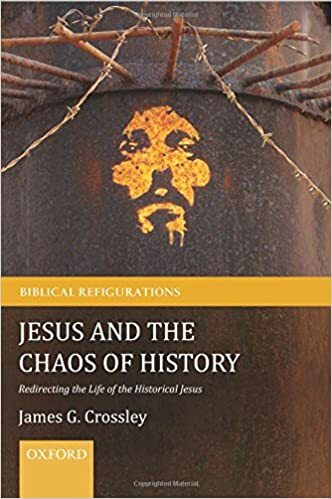 TJB: Okay, so let’s get to one of the more controversial topics in New Testament studies. Did Matthew and Luke both incorporate an independent sayings tradition? Or did Luke follow Mark’s chronology and supplement material from Matthew? TRUMP: Luke is tremendous. Luke has all the women. Really, really terrific women. Perfect tens, all of them. Mary Magdalene was a real stunner. Not—and this has been a thing—not a bimbo. This is something we’ve looked into. Really unbelievable. Jesus was the first great negotiator. Huge brand. Deluxe brand. Super classy. Luke knew how to build from Mark. Other people were like, "Bing bing bong bong bing bing bing." But Luke was just incredible. I would like to thank Mr. Trump for his super-luxury time. We’re looking into publishing another segment of this amazing interview soon. Believe me. Best TJB post ever. Bravo. Trump Interview Part 2: "The rich young man and blessed are the poor"
If I arrange to have a copy of MARCAN PRIORITY WITHOUT Q sent to you, could you get it to Himself? We could use the publicity! Dang! Trumps hands are mighty big, aren't they?!? I am surprised that Trump has given such short shrift to the role of women in the Gospels. Did he think all they did was cook, like Martha? You do realize this is a spoof, right? Cute - but I doubt if more than .005 percent of people attend church regularly could actually discuss the "synoptic problem." Speck-Plank-Kerplunk! I really wanted to hear some of his thoughts on John, too. Maybe that's coming in the next installment -- hoping to get into John and the synoptics. Cuz that's BIG -- HUGE. I'm probably naive, but was this a real interview? HH, no. This was not a real interview. I am both flattered and fearful that I was able to mimic reality so well. Mr Trump should deport the Johannines his first day in office! "Those uncial letters in the manuscripts are HUGE..."